Audience, content and business performance metrics are all vital if marketers want to make the most out of their content marketing strategy, a new Forrester Research report claims. The Measure Content Marketing for Success report argues that however difficult it may appear, data analytics and measurement lies at the core of successful content marketing. The document aims to provide a blueprint for how marketers can become more effective at it. The report sets out three main areas of measurement: Content performance, how content drives a specific goal and contributes to visibility; audience performance, how content delivers relationships with valuable groups; and business performance, how content contributes to business outcomes and marketing goals. The report then details the data-driven insights, sample metrics, and tools and technologies needed to drive each of these three areas, as well as the users who typically excel in them. For example, content performance requires measuring content across the organisation against channel-specific targets, while core tools to achieve this include Chartbeat, SimpleReach and social analytics. Users who typically excel at content performance are media agencies, and sample metrics marketers should be looking to use for this measurement include typical engagement actions (likes, clicks, shares, views or content downloads). In contrast, audience performance is about measuring content’s contribution to audience-level performance and relationship and relies on tools such as Web analytics and CRM. Sample metrics include subscriptions, frequency, recency, depth of visits, app downloads and audience quality. Direct marketers are the best users in this area, Forrester claimed. Business performance, meanwhile, is about measuring content’s contribution to the business’ bottom line through sales and leads, or a proxy for business value, such as brand lift, according to the research firm. Technologies helping marketers achieve this include marketing automation, CRM and brand research, while sample metrics range from contribution to business leads and offline purchase history to brand value. Users who typically excel in this area are sophisticated B2B marketing outfits, the report authors claimed. As an example of how brands are using data to improve their content approach, the report flagged Virgin UK’s decision to segment customers by their value to the business and their viewing habits to produce and distribute content that would drive greater loyalty and preference for its services. This resulted in reduced churn and an improved Net Promoter Score. 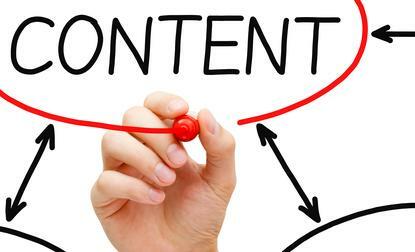 However, the report noted how difficult marketers were finding it to measure content marketing. Top challenges include linking customer’s content-driven activities to the intent behind them, the spread of content assets across platforms and devices and the challenges that presents to data collection and synthesis, the absence of common frameworks for calculating content marketing ROI, and the lack of focus on audience goals or business outcomes. The latest Forrester report was based on interviews with 13 agencies, marketers and technology vendor companies as well as tapped into several research documents released during 2014.